The medical group had grown steadily to the point that it had 14 physician partners, 100 employees, and revenues of $12 million a year. Lately, however, it had hit a wall: the partners were unable to make decisions. One of the partners, a physician named Carol, contacted me and asked to meet for lunch. “How did you hear about us?” I asked. First, you need to define what roles you need to run the firm. 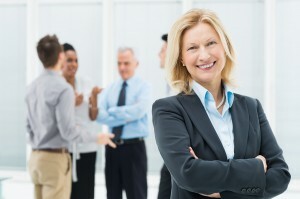 If you want a managing partner, which I recommend, then that role must be defined. Second, you need to acknowledge that Jack has served you well as managing partner. But he needs to stand for election, according to the rules you define. Third, you need to ensure that all the partners stay informed about the business. You need to write down specific commitments to that effect. It was quiet in the room. One partner asked if I had any further recommendations. I said that if those changes were implemented, the medical group would be heading in the right direction. Another partner asked if my work was done. I said it depended on what they wanted. I received a call a week later from Isaac asking if I would help them draft their Constitution. I prepared some draft language with a number of options for them to consider. Everyone attended the meeting, including Jack and Isaac. They agreed that the managing partner would be elected into a two-year term by the partners’ majority vote. They defined the delegation of authority to the managing partner. They discussed which decisions could only be made by a vote of the partners. Everyone left the meeting feeling satisfied with the work they had accomplished. I spoke with all of the partners the following week. Jack asked me who I believed was most suitable to be managing partner. I told him I thought Carol was a good candidate. When Isaac asked me the same question, I delivered the same answer. And throughout all of these conversations, I was absolutely clear about the fact that my decision was based on what I thought was best for the firm.